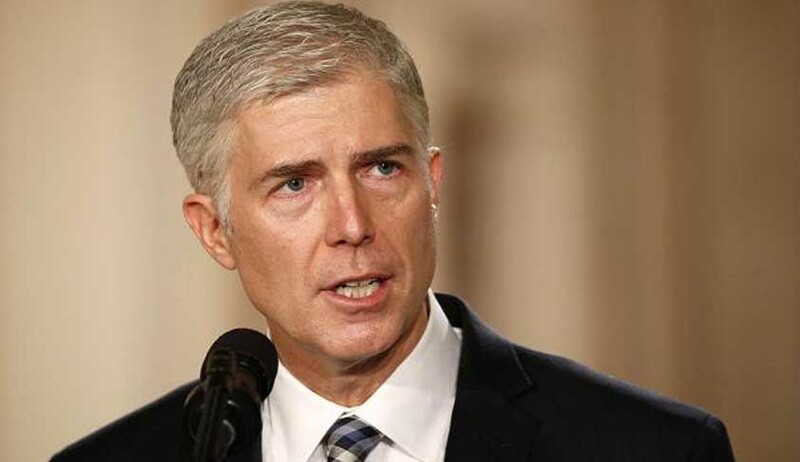 Neil Gorsuch was, on Monday, sworn in as the Supreme Court’s ninth Judge, filling the seat once held by the late conservative icon Antonin Scalia. At 49, Justice Gorsuch is the youngest Supreme Court Nominee since George H. W. Bush in 1991 picked Clarence Thomas who was 43 at the time. Justice Gorsuch took the Constitutional Oath in a private ceremony, administered by Chief Justice John Roberts in the Supreme Court’s Justice’s Conference Room. He was accompanied by his wife Louise, who held the Bible, and his two daughters. The oath in a public ceremony at the White House was administered by Justice Anthony Kennedy, for whom he once served as a law clerk. The appointment was confirmed by the Senate, 54-45, on Friday after a contentious few days, during which Democrats blocked consideration of his nomination by using the minority party’s power to filibuster. The Republicans, however, paved way for his appointment by changing the Senate’s rules, and allowing Mr. Gorsuch and all future Supreme Court nominees to pass through the Senate with a simple 51-vote majority instead of the previous 60-vote threshold. In the Rose Garden ceremony, Trump said Americans would see in Gorsuch “a man who is deeply faithful to the Constitution of the United States”, and predicted greatness for the 49-year-old former Appeals Court Judge from Colorado.